The above info came from Naruto Uzumaki, and was edited by yours truly (contact me). The image came from imageshack. 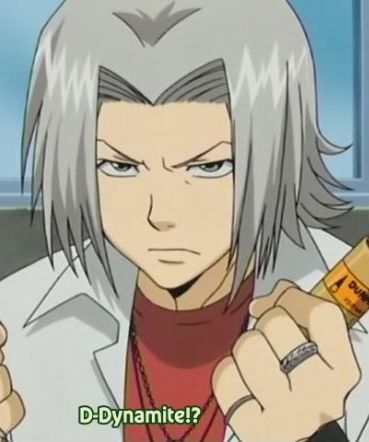 Hayato Gokudera was a new student at Namamori High, where he met Tsunayoshi Sawada, and Takeshi Yammamoto . At first Gokudera didn't like Tsuna, but then Tsuna told him that he was the Vongola Tenth. That's when Gokudera devoted himself to be Tsuna's right-hand man. 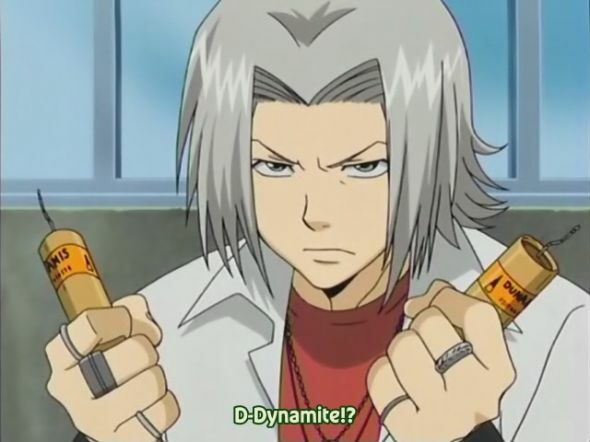 Gokudera uses dynamite as his weapons, and he is very skilled. As the series advances, he get more abilities and weapons. Gokudera's best friends are Tsunayoshi Sawada and Takeshi Yammamoto. The above description came from Naruto Uzumaki, and was edited by yours truly (contact me).